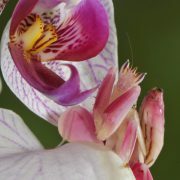 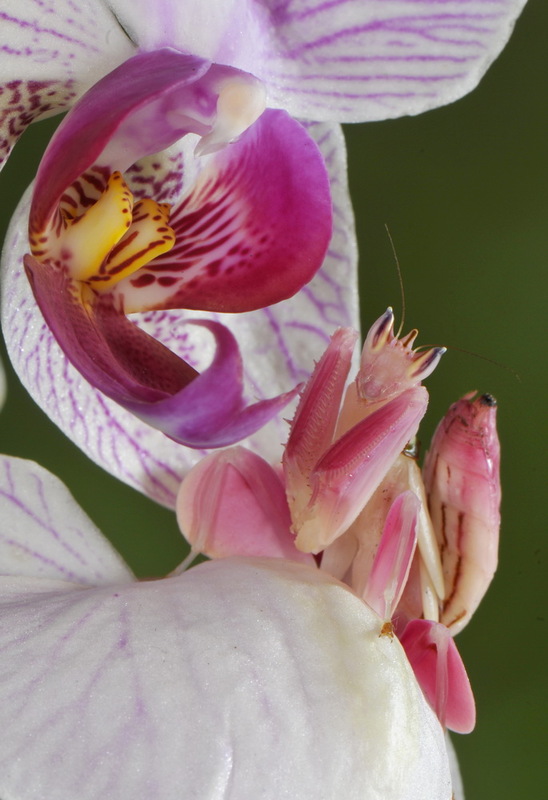 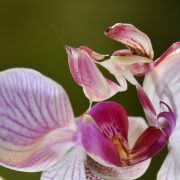 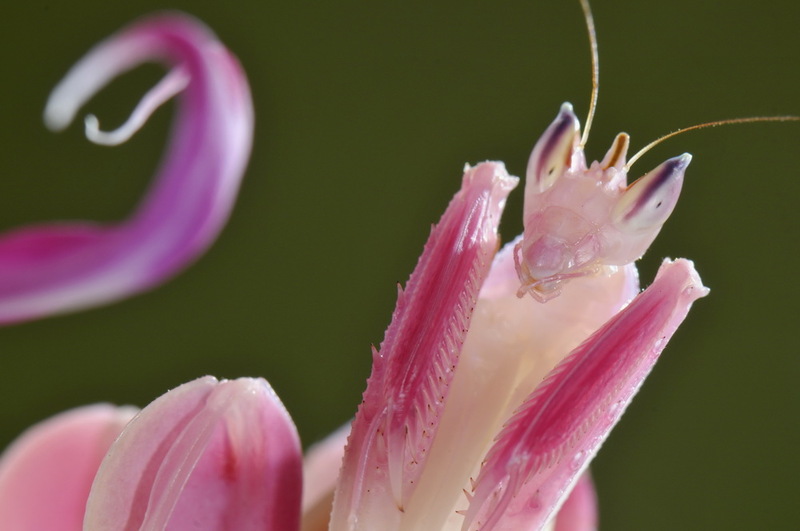 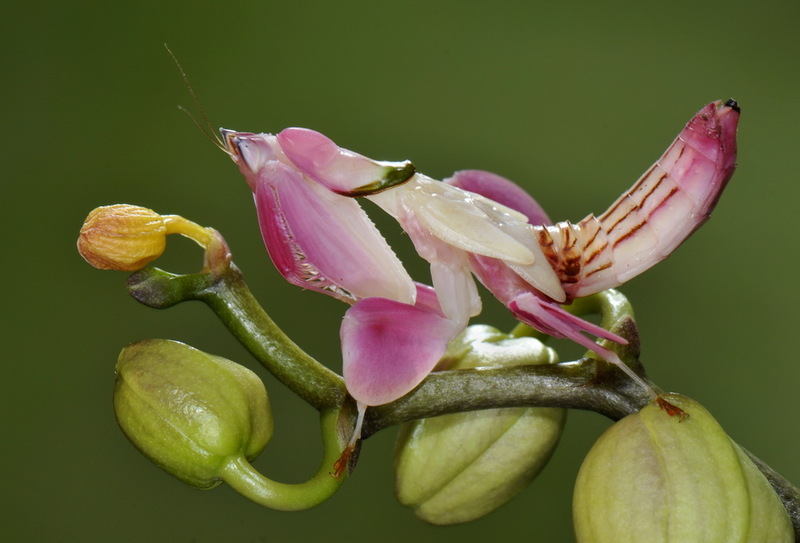 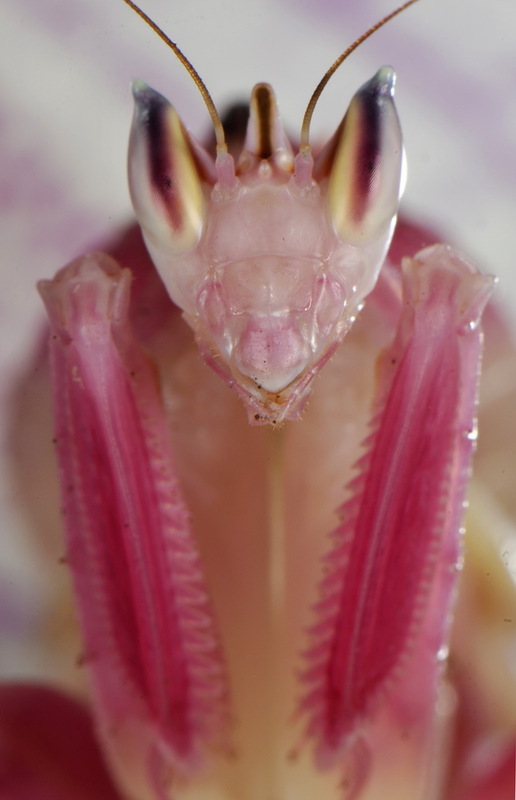 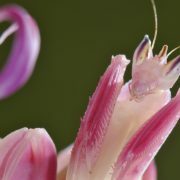 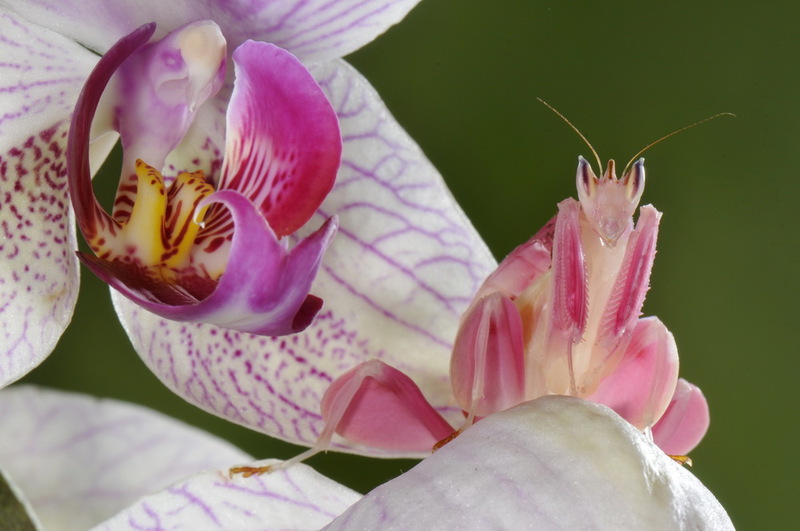 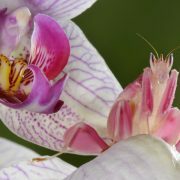 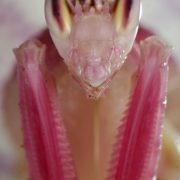 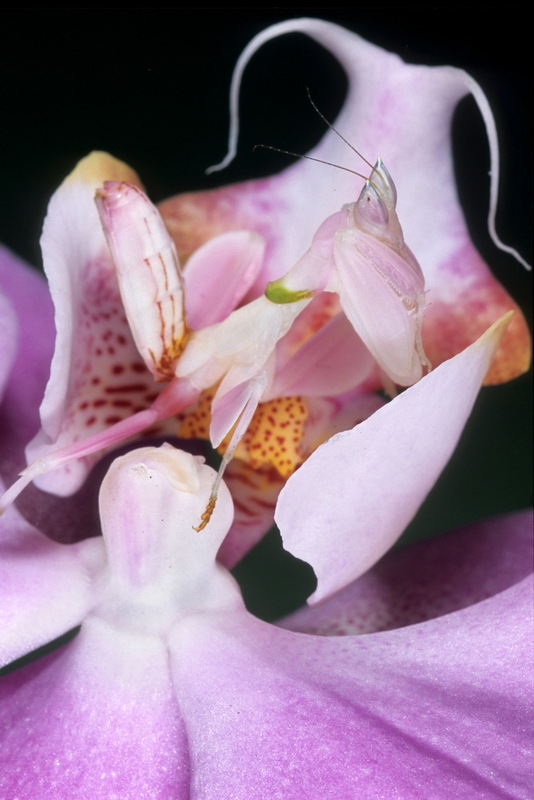 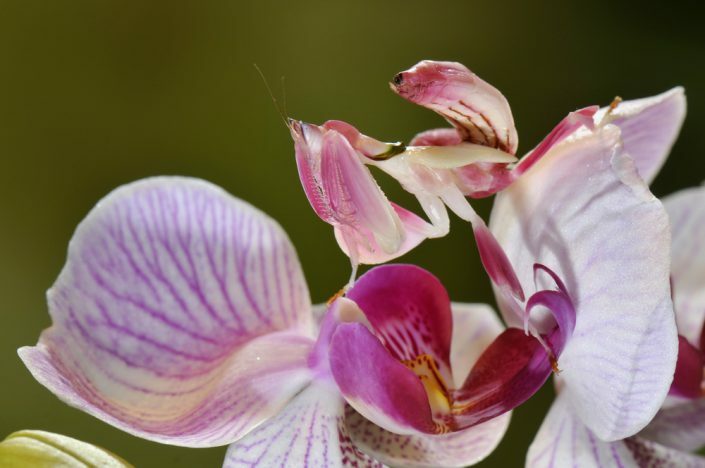 The orchid mantis from Indonesia and Malaysia, Hymenopus coronatus, is one of the most beautiful insect in the world and a symbol of complex and perfect camouflage in animal kingdom. 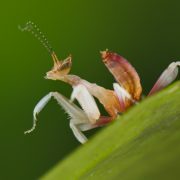 Every part of mantis life involves deception. 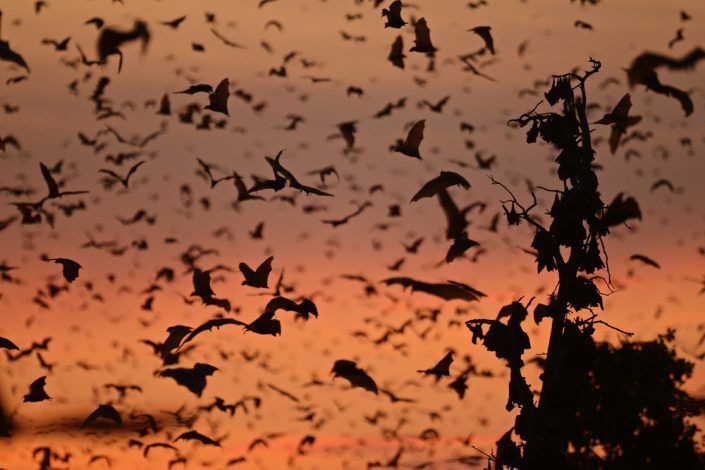 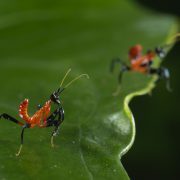 When born it is a little orange-black insect, mimicking poisonous bugs of the forest. 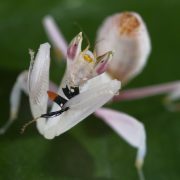 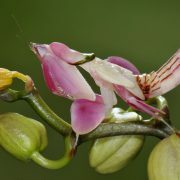 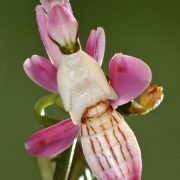 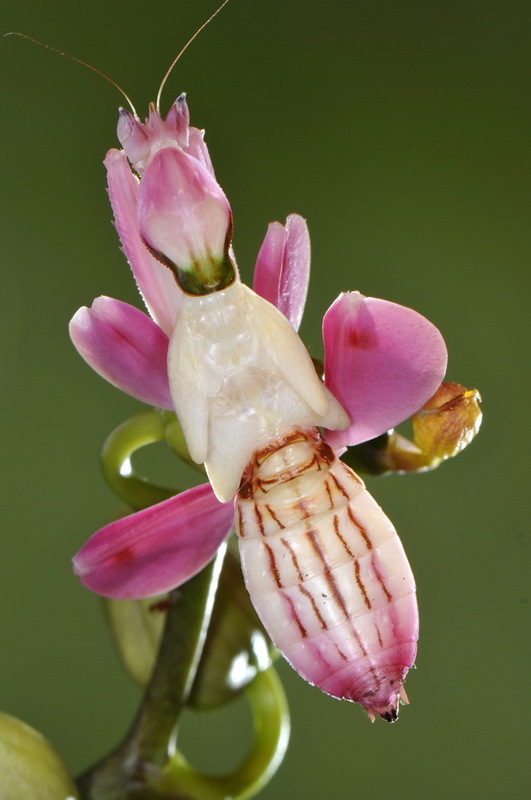 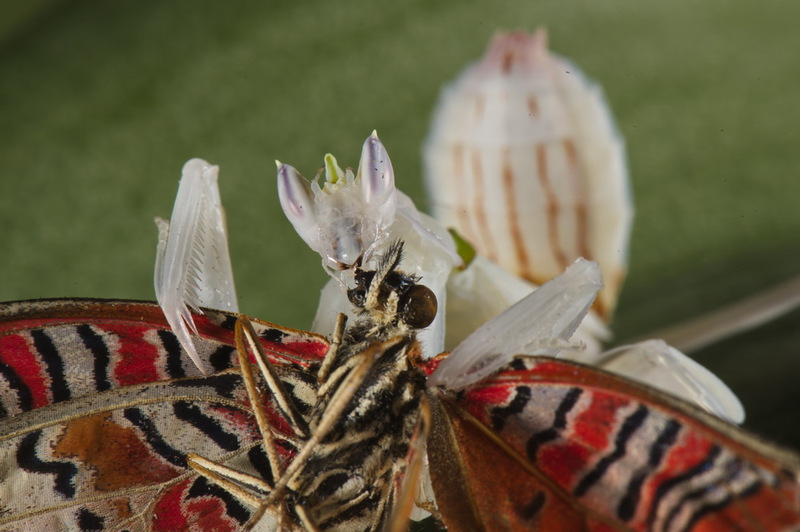 Later it turns into a wonderful whitish-pink insect that lives on orchids, copying various parts of the flower and ambushing visiting insects. 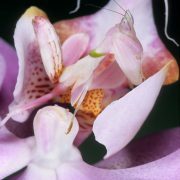 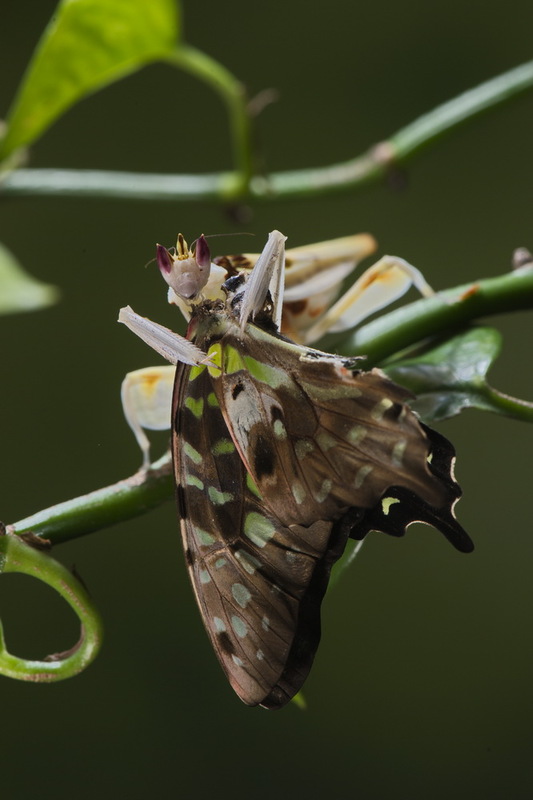 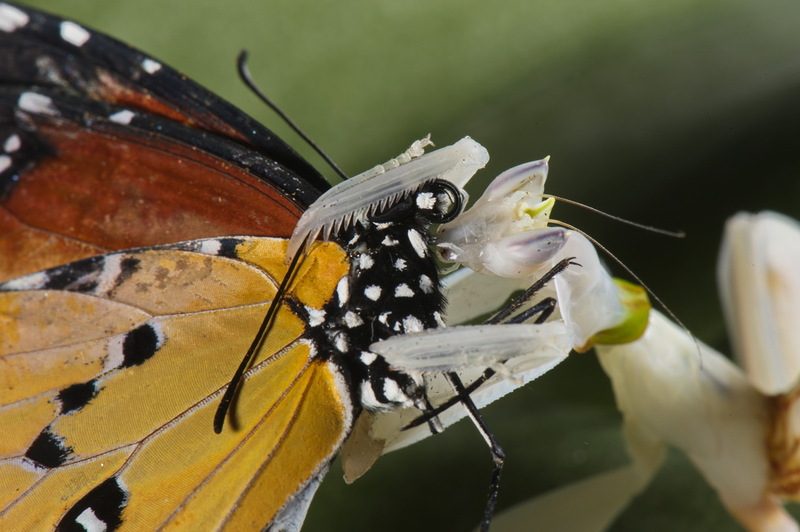 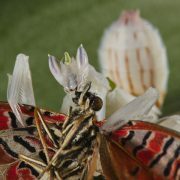 But the mantis can even hunt simulating to be a flower, attracting curious butterlies, flies and bees that are easily captured. 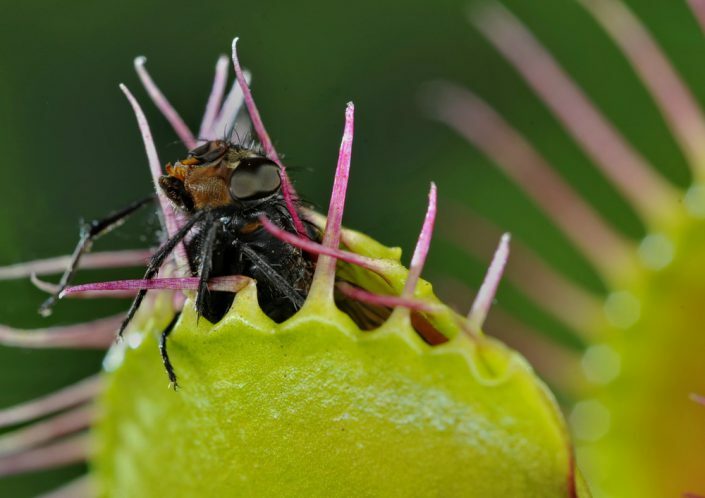 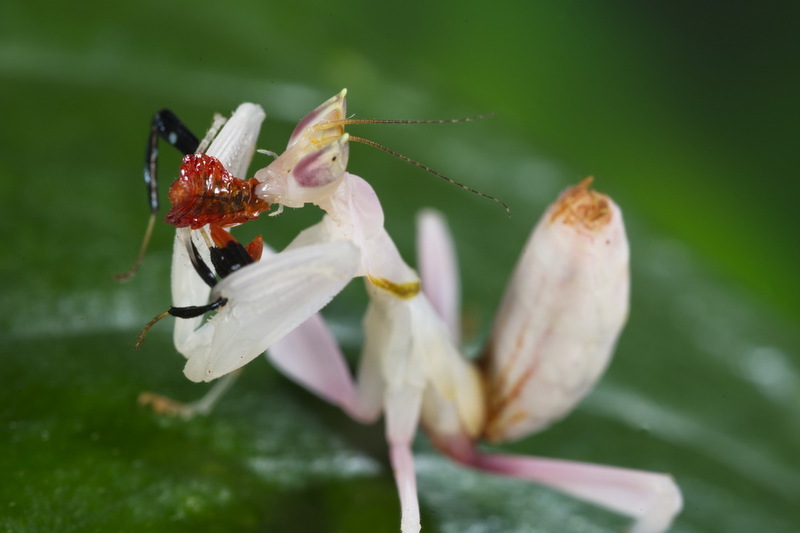 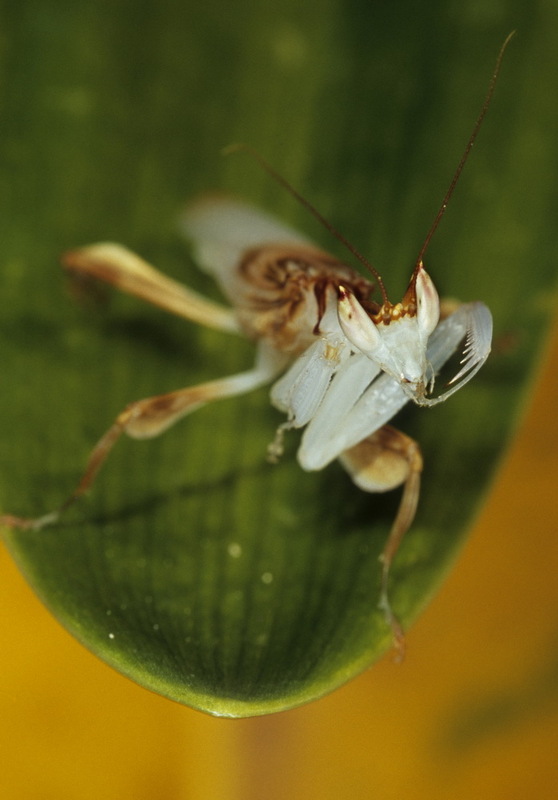 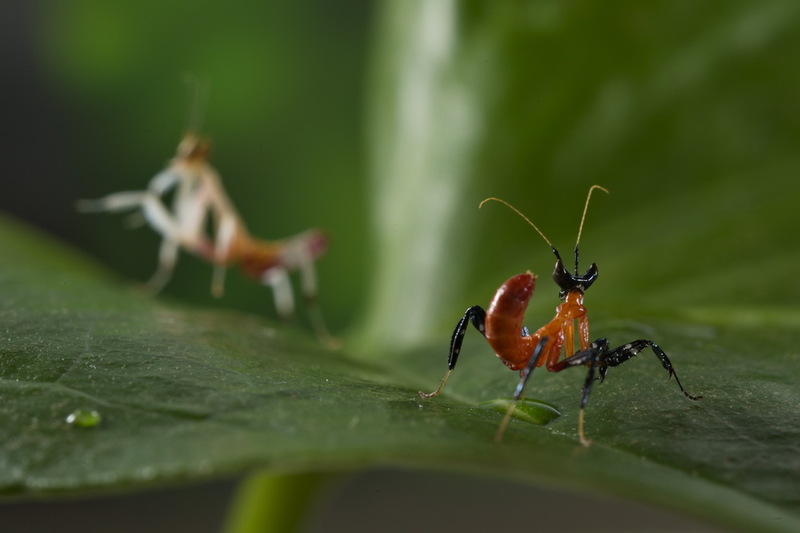 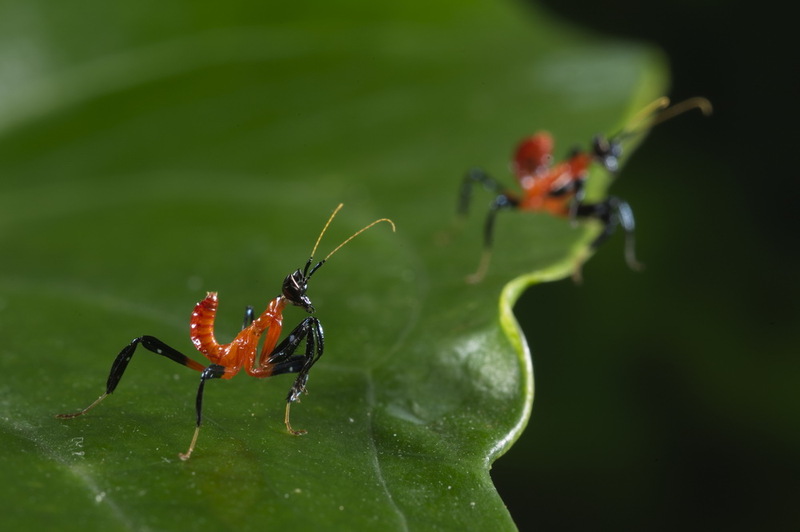 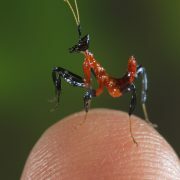 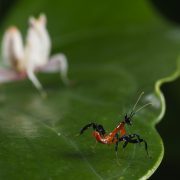 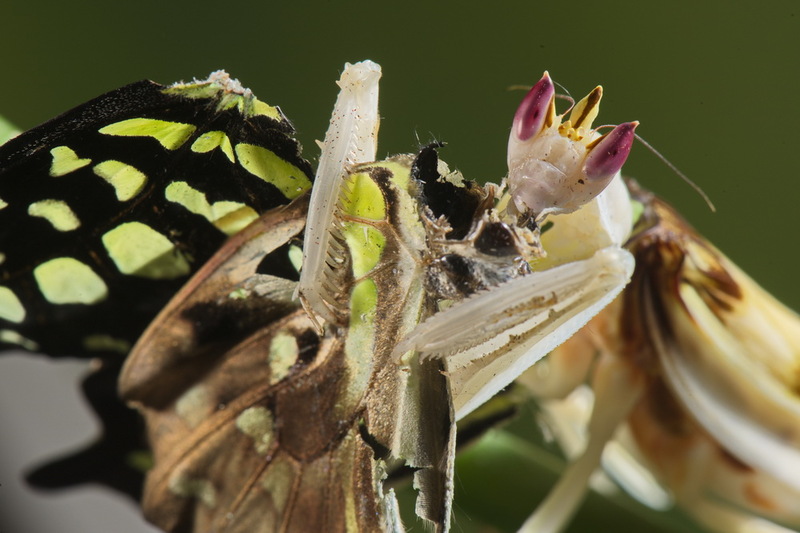 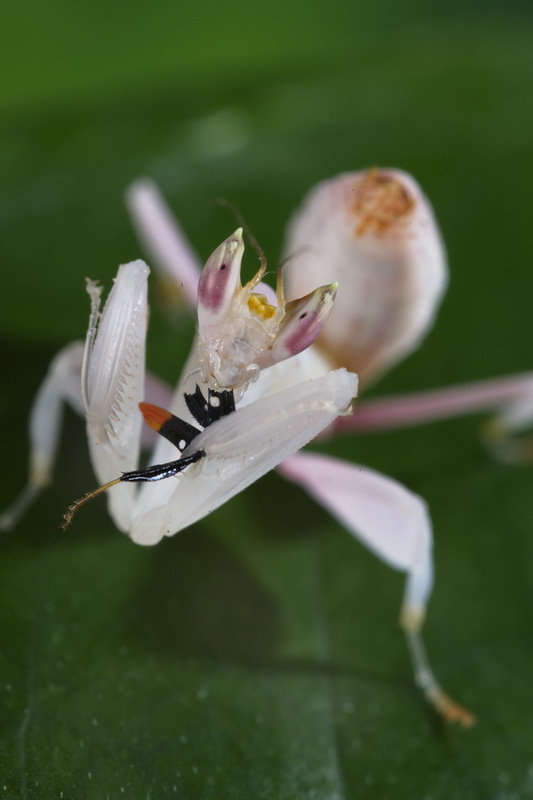 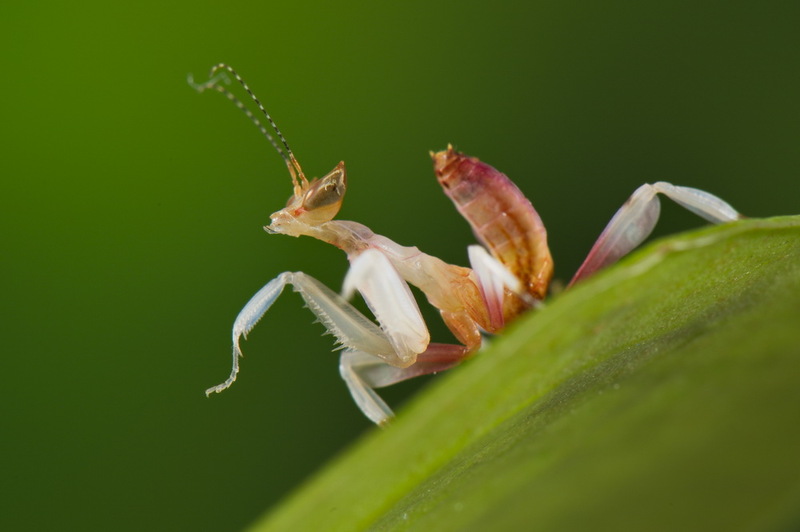 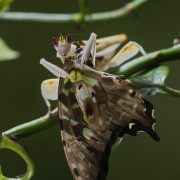 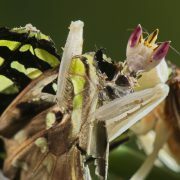 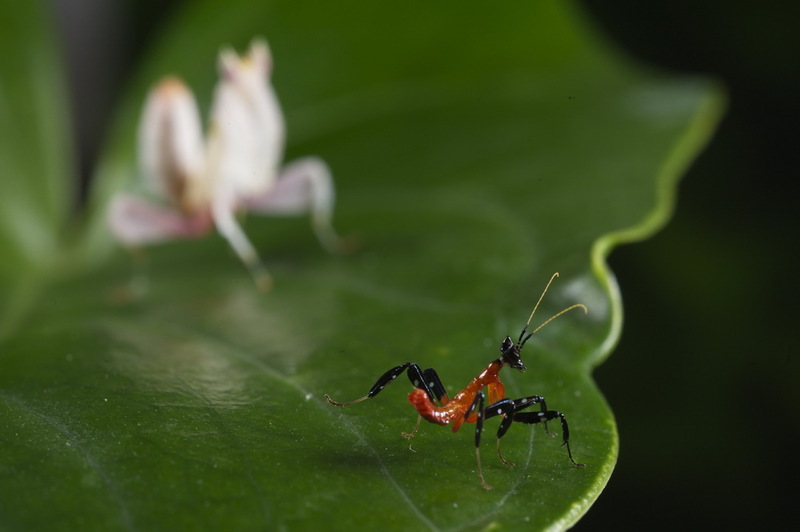 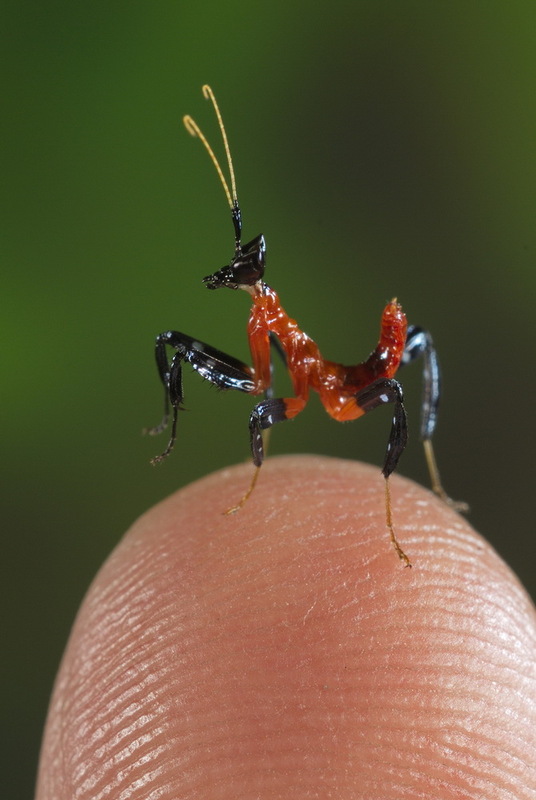 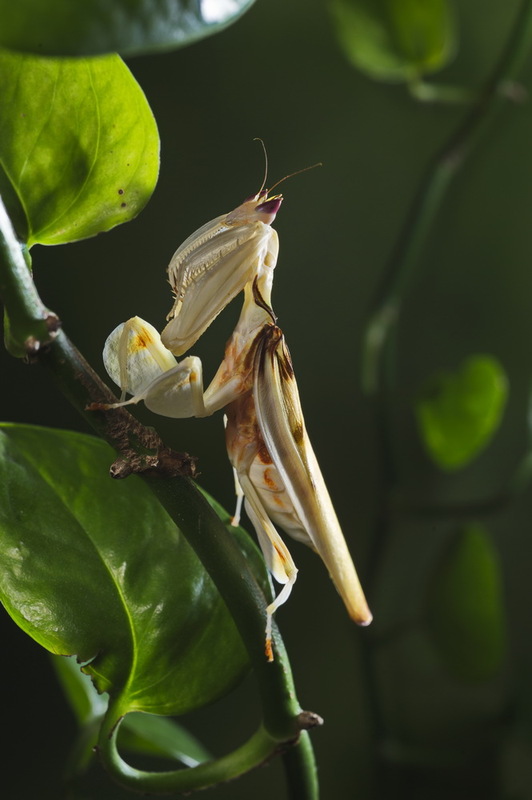 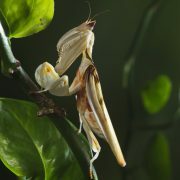 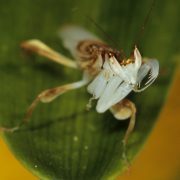 Even reproduction involves deception: the male is far smaller than female, so it can close to the aggressive partner without being killed, as often occurs in mantis world.